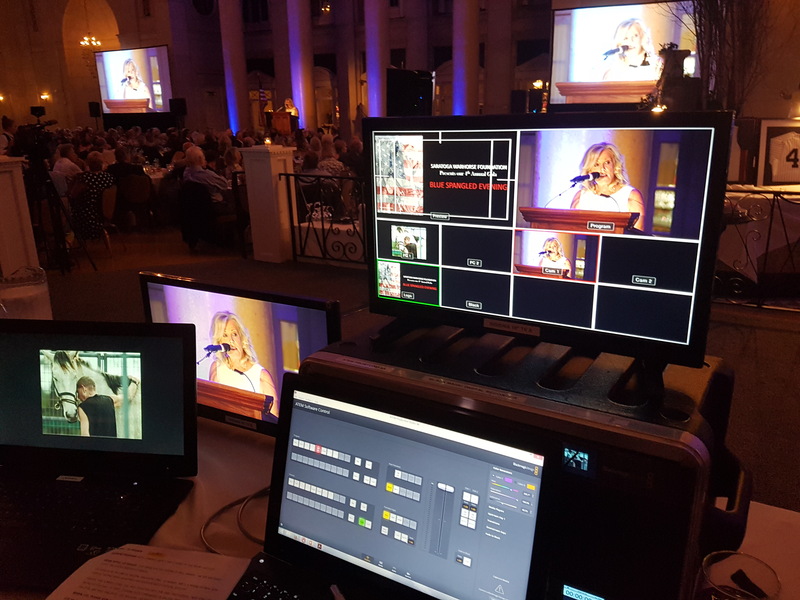 Audio Visual AV Installation, HD Projection, High Def Installations, TV Displays,Conference room,Technical Video Inc. Albany, NYPlus, Audio Visual equipment rentals, av equipment installations, live event production, live web streaming, sound systems, projection screens: Contact TVI:518-867-3020 | Technical Video, Inc. 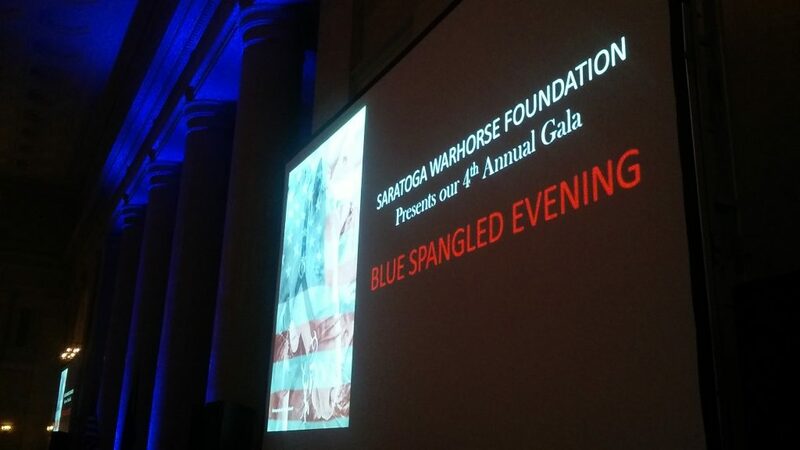 Photos taken at Saratoga Hall of Springs where TVI provided audio and video presentation services for Saratoga WarHorse Foundation’s 4th Annual Gala. Our Eiki 15k projectors are shinning bright on two 14 x 10.5 screens, displaying full HD from our Panasonic HPX600 camera, plus 6 QSC K12 loudspeakers providing crystal clear sound throughout this beautiful venue. 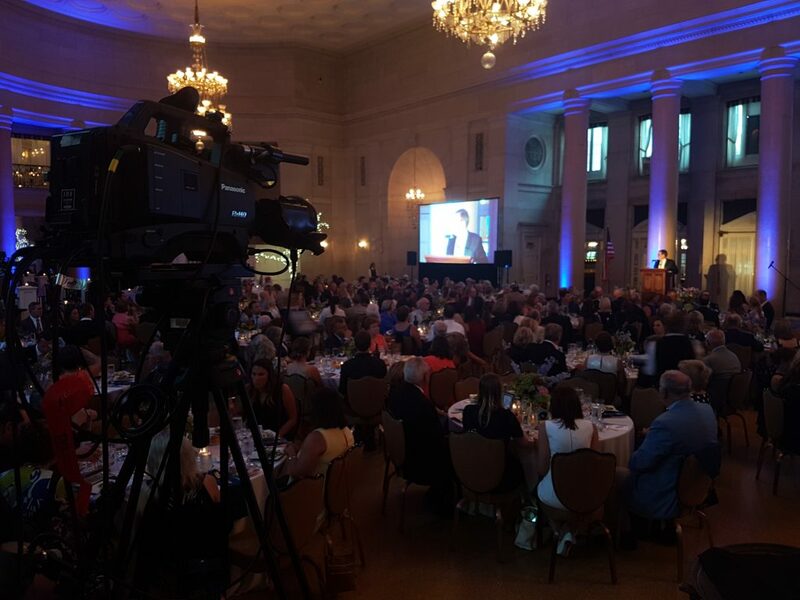 Please give TVI a call at 867-3020 for more information about our event presentation services.